Khaki, beets, and snails! Oh my! My first week abroad was equally exhausting as it was spectacular. Now in my second week, I am learning even more and still eating more bread than I ever have before in my life. I have learned about 20 new words and phrases including the most important, like how to say "he is crazy," call for help from my host family mom, and the word for "idiot." As I settle into my new city, I learn more and more every waking moment. 1. Leggings aren't real pants. 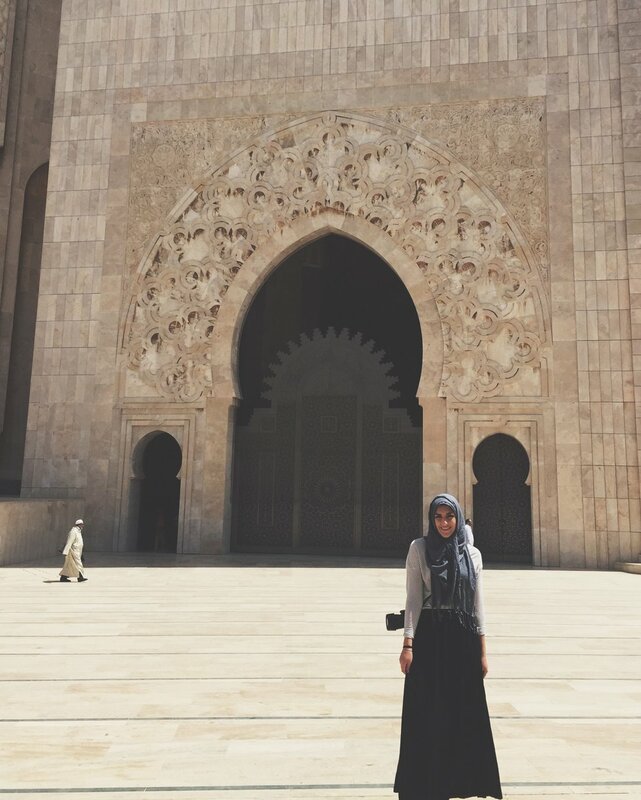 Before coming to Morocco, I thought I dressed modestly and was always covered and wearing loose clothes. I have also never worn pajama pants in my life because I always just wear leggings. I have now been reminded that leggings aren't actually pants and should be worn underneath real pants or covered by a long top. It was an easy fix that honestly I appreciated because it gave me an excuse to go shopping! My wallet is in trouble because modest clothing lines in Morocco have modest clothes (crazy right?). 2. Khaki, Beets, and Snails, Oh My! So, I absolutely love beets! Yes, they taste like dirt but so, so, so good. My first time to Morocco, I ate all the beets offered to me. Well, my host family mom and sister knew I loved beets and so, the next thing I know, they brought me a... BEET SMOOTHIE! It was so good that I have had at least 3 more in just 2 days. I have also tried new fruits I have never heard of like Khaki and eaten snails on the side of the road. I always say I will try anything once, and Morocco has not disappointed me. My goal of writing and videoing my trip is to show people that Morocco is a safe country and that not all Muslims are terrorists. So, the topic of religion is something I am always noticing and thinking about. I learned that wearing a turban is not the same as wearing a Hijab because it shows your neck. I watched my host family pray for the first time and it was so interesting to be a part of that moment. One of my goals will be to go to the Mosque with them at some point during my trip. I have had a million questions about what is okay and not okay when it comes to Islam and I am trying to learn as much as I can because if I am going to stand up for Islam, I need to understand as much as I can. 4. Eat that piece of cake. In the US, I always felt I was slightly curvier or bigger than other friends and idols I had. I always felt a bit uncomfortable in my own body unless I was covered in loose clothes. When visiting the Hammam (the public bathhouse), I noticed women in Morocco are all of different shapes and sizes and that I didn't stand out or feel judged at all. I think in the US, we subconsciously have this idea that we need this exaggerated hourglass figure to be beautiful, and no matter how many times someone says "beauty is on the inside," we still feel like we don't fit. In Morocco, they couldn't care less about what brands I am wearing, what size I am, if I am wearing makeup, or if I want to wear my pajamas out to dinner. I have learned that I should eat that piece of cake with no regrets, then throw on a huge sweater and hijab and go live my best life. 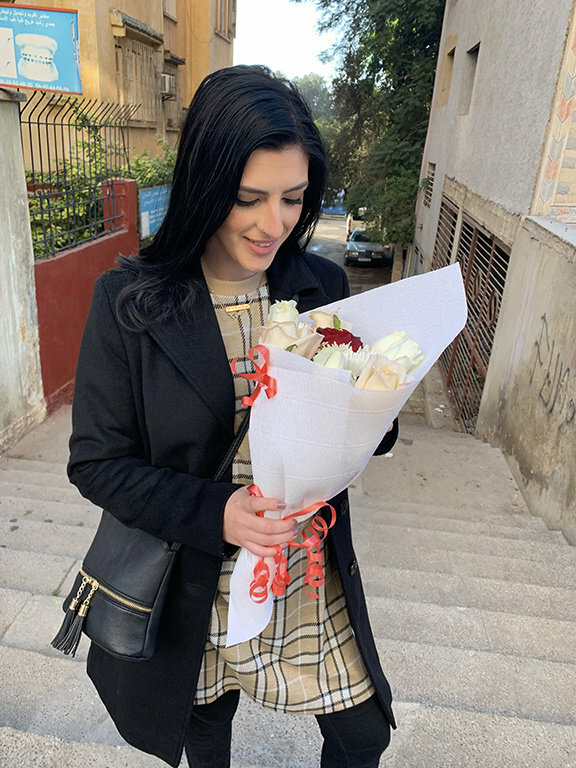 I am so excited to learn more of the language, culture, and religion of Morocco and I just wish that I could bring everyone to this beautiful country to experience what I am living right now. I am living in a dream and I wish I never had to wake up.